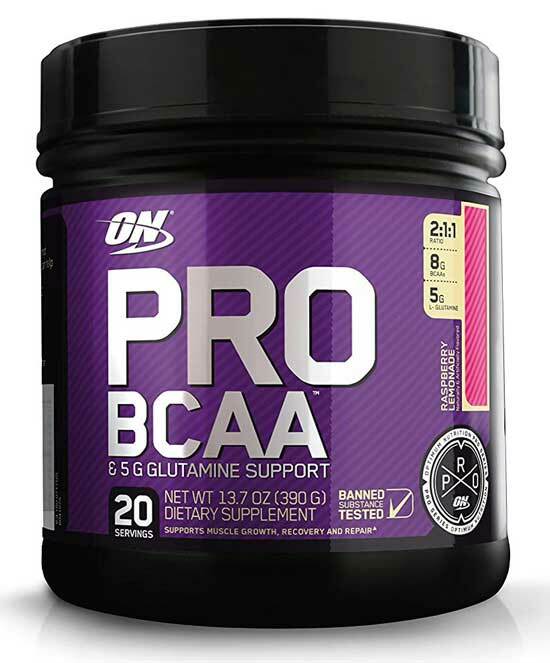 Optimum Nutrition PRO BCAA provides the nutritional support necessary to keep you in an anabolic state. PRO BCAA as the name suggests delivers the BCAA’s, Leucine, Isoleucine and valine in a scientifically proven 2:1:1 ratio. Intake of the BCAA’s immediately following weight training can “switch on” protein synthesis to initiate the recovery phase and build muscle. 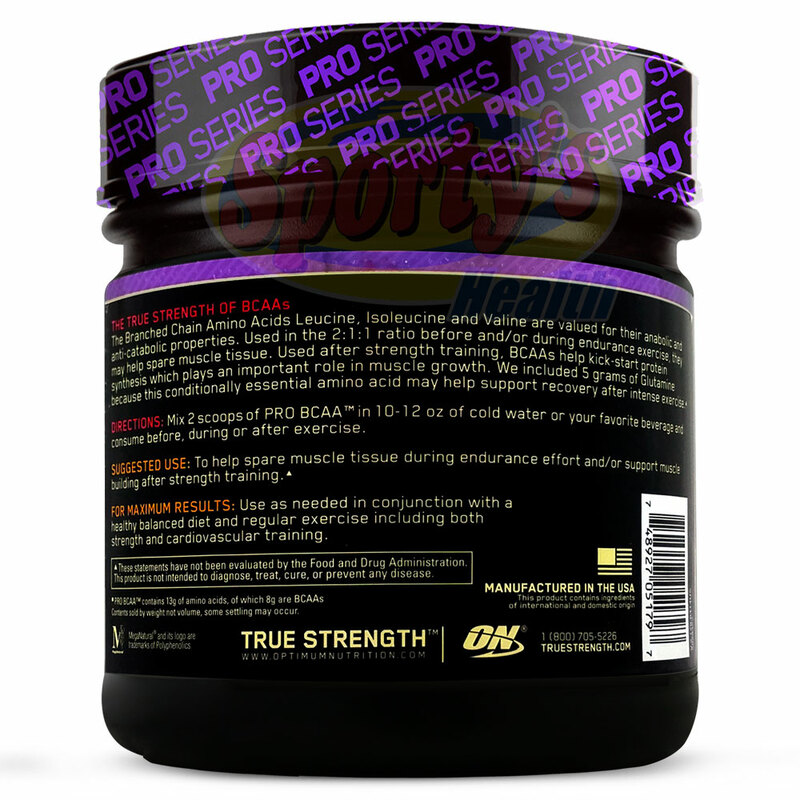 Optimum Nutrition PRO BCAA is also effective for endurance sports athletes as it helps prevent muscle catabolism. 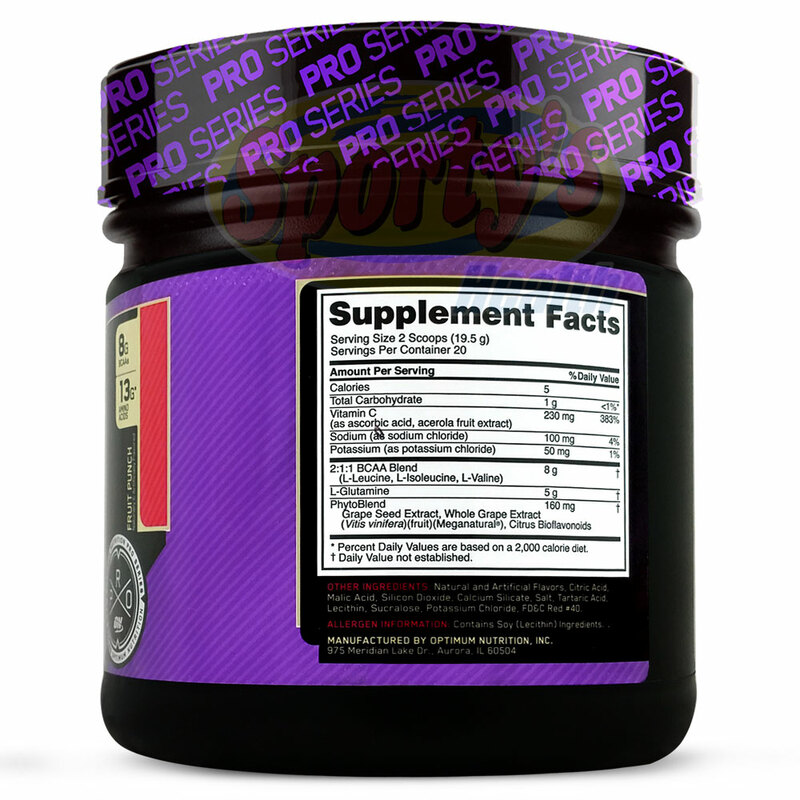 PRO BCAA provides further anti-catabolic support with the addition of L-Glutamine. Glutamine is depleted during stressful situations such as intense physical activity and needs to be replaced. Thus Optimum Nutrition PRO BCAA with 8g BCAA’s and 5g Glutamine per serve is the perfect product to balance the fine line between catabolism and anabolism. 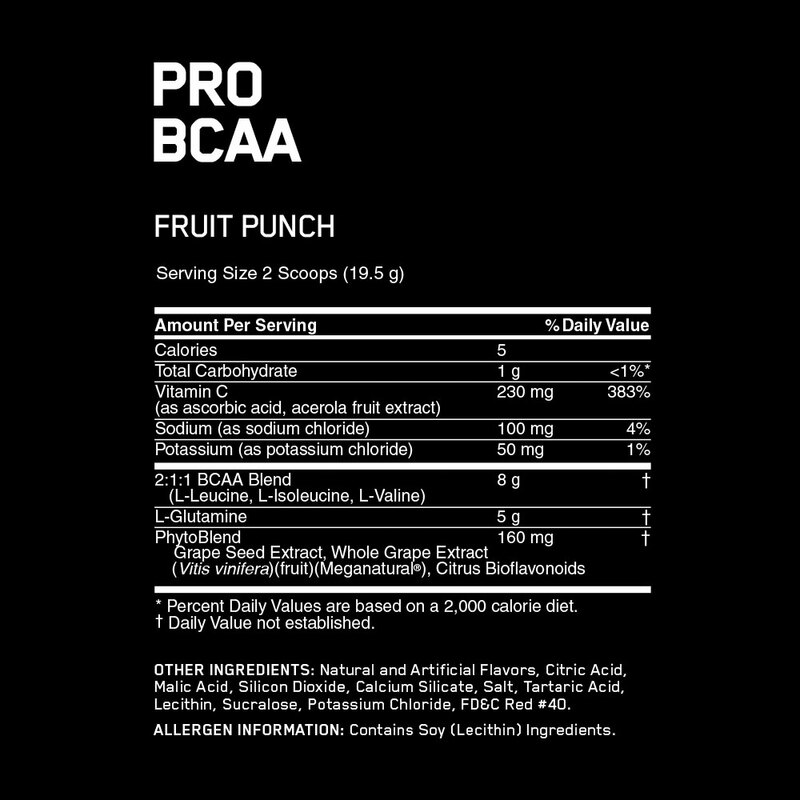 We highly recommend the Optimum Nutrition PRO BCAA Fruit Punch flavour. It goes down a treat on ice after a punishing gym session! Mix 2 scoops of PRO BCAA with 295 - 355ml of cold water and consume before, during and after strength training. Use before and after endurance sports to spare muscle tissue (prevent muscle breakdown). OTHER INGREDIENTS: Salt, Silicon Dioxide, Calcium Silicate, Lecithin, Potasssium Chloride.